On September 19, 2019 the Pharma TRACKTS! 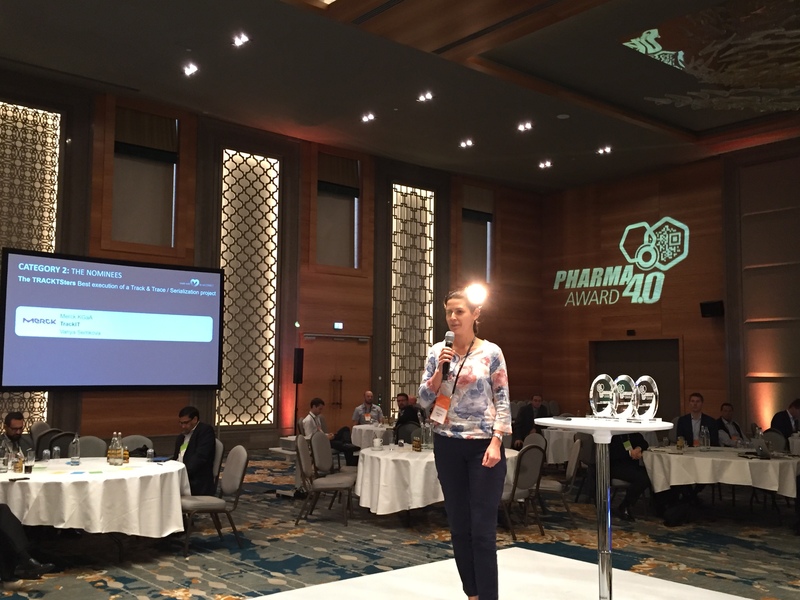 and the Pharma MES Community will recognize, honor and celebrate best practice achievements of pharma industry end-users from the Track & Trace and MES scene with the PHARMA 4.0 Award. 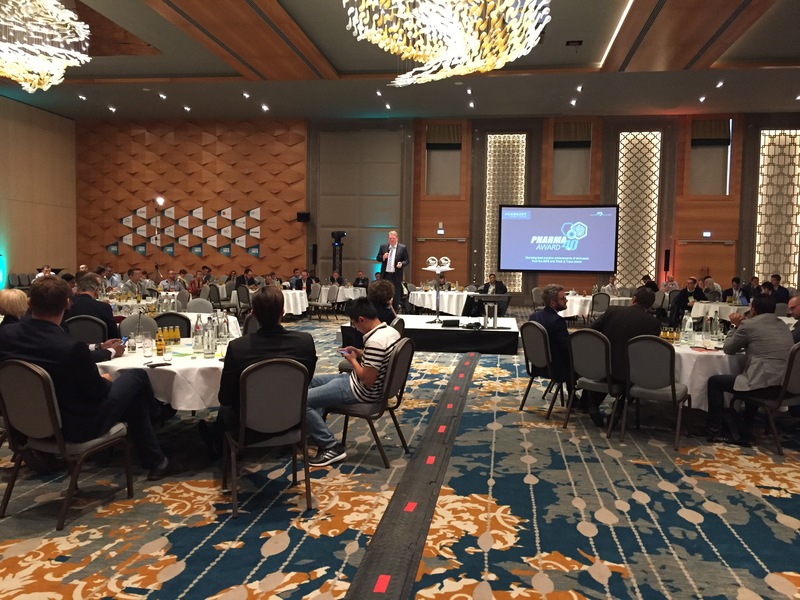 On September 19, 2019, in Berlin, in the framework of the 5. annual Pharma TRACKTS! 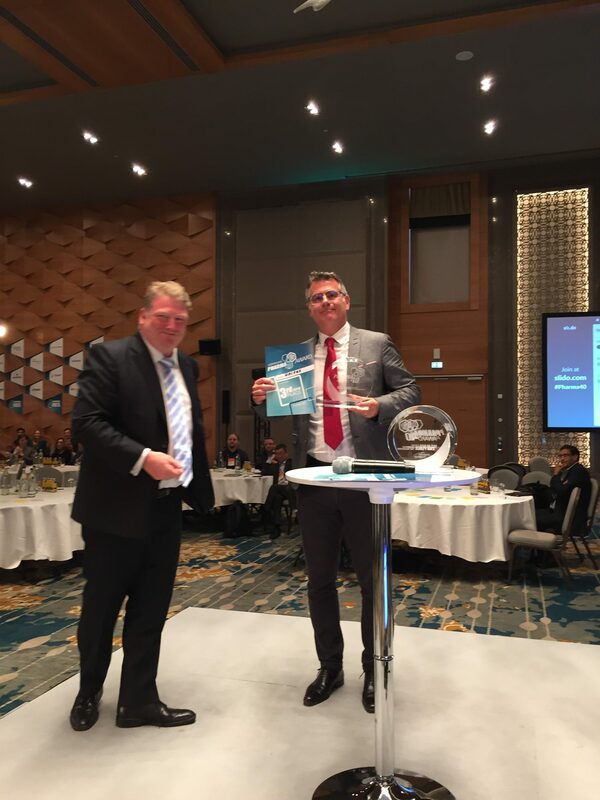 Berlin conference, we.CONECT will bestow the Pharma 4.0 Award for best practice achievements of pharma industry end-users in Track & Trace|Serialization and MES projects . During conference day 1, our shortlisted applicants will get 10 minutes on stage to present their projects. Closing day 1, we will unite the Pharma TRACKTS! and Pharma MES Berlin communities for our festive award ceremony. The audience will vote for their favorite achievement during the live polling session via our conference app. Fill out the online application form by July 31, 2019. Get shortlisted by our assessment team. Take the stage on conference Day 1 and present your project to the industry audience (10min pitch). The conference communities of Pharma TRACKTS! 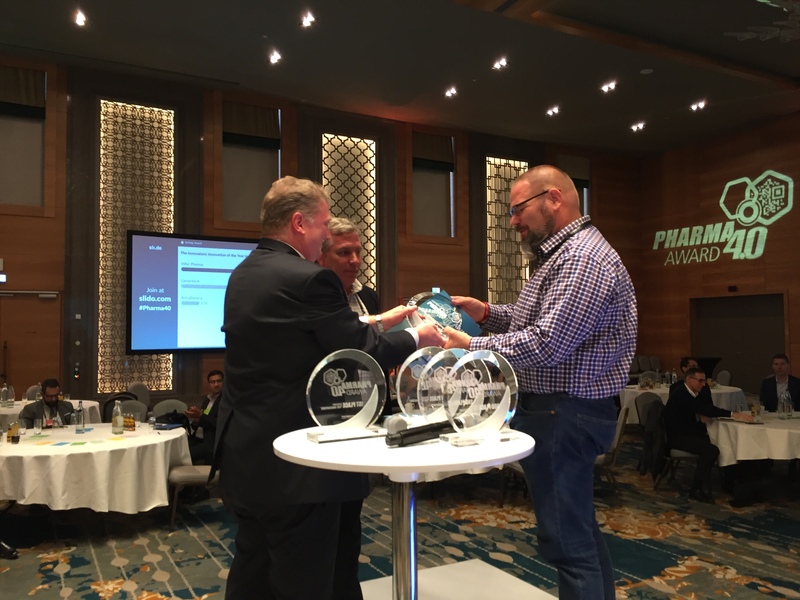 and Pharma MES Berlin will vote for your achievements during the live polling session closing Day 1. Fingers crossed and most of success for your application! In which context did you execute your project? E.g. supply chain, OPEX, Lean, cost efficiency, compliance etc. Complexity – How many team members and departments were involved? How big was the business risk and how did you assess and mitigate it? How did you get the support of all stakeholders? Which software is in place now / was upgraded? What does you technological landscape look like now in comparison to prior status? How did Technology support the change? Are there particular new features? How did the project change your daily operation? What value for the company did you project bring? What is the innovative side of your approach? Did you develop new tools, apps, processes? How do you think does your project set you apart from the other industry approaches? 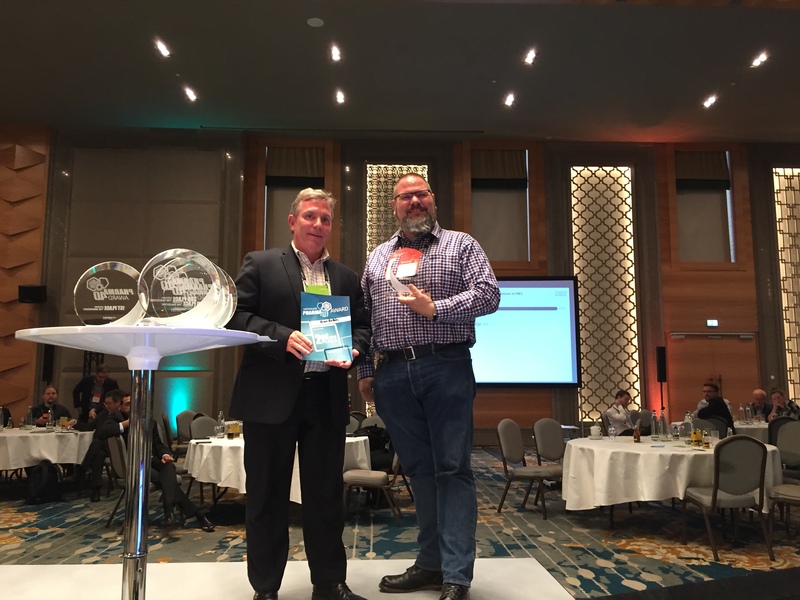 On the occasion of the Pharma TRACKTS!, the leading networking conference on serialization and track&tracein pharmaceuticals and biotech, we.CONECT has bestowed the renowned Pharma 4.0 Award twice already, in 2017 and 2018. 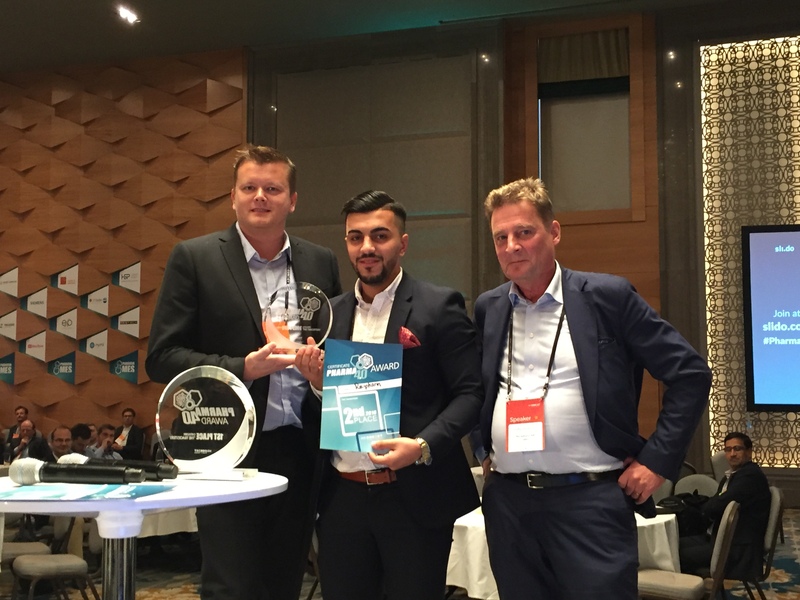 The winning project’s target was to deliver a global and harmonized track and trace / mass serialization solution regarding the management, storage and reporting of serial numbers and events and exchange information with internal and external production lines, 3PL and distributors. Also in the scope of the project, the aim was to deliver reportings to Health Authorities and Supply chain partners to answer the various national regulations. from suppliers up to the patient and links all involved stakeholders. It’s forward looking with clearly defined phases exploiting and enhancing all possible advantages for the patient and the company beyond compliance. The company can now be proud of an up-and-running anti-counterfeiting ecosystem that ensures that drugs are more controlled and safer for its worldwide community of patients. Their T&T set of software and processes has become a global company level service, like an ERP, connecting departments and sharing the expertise by being highly supportive to the people and bringing everyday values to the company and the patients. Congratulations to Vanya and her team! From order to delivery in 12 months! The local team, with the help of a central corporate team, managed to go from equipment order to first serialised batch in less than 12 months. This included the sourcing and install of serialisation machine, the level 3 solution and release of serial numbers to customer using the level 4 TraceLink solutions in June 2017. 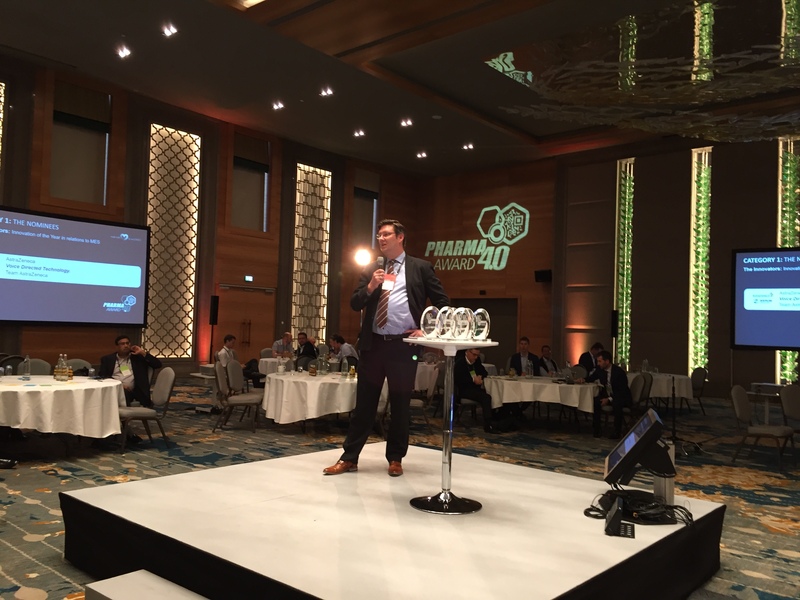 By implementing an iterative, agile approach with a pilot project that used stand-alone equipment, Ratiopharm managed to develop the knowledge required, share information internally and validate the solution without any impact on normal production. The subsequent moving of the equipment to the packaging line was completed with no unexpected challenges. Since the completion of the project, Ratiopharm have serialised 1 million cartons including cases and pallets for the US and Saudi Arabia markets. The solution has Ratiopharm to streamline processes by performing the printing on cartons and print all case labels on the new serialisation equipment. This has made it easier for operators and fewer errors. The solution also offers the flexibility to handle future regulatory requirements from any of our 40+ markets. 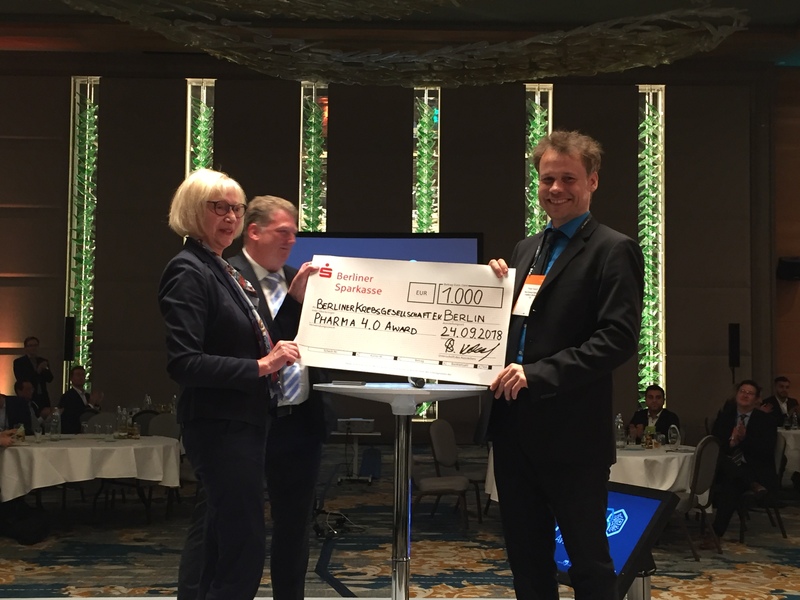 The third place was awarded to UNITAX-Pharmalogistik with their partner TraceLink. UNITAX handles storage and logistics for more than 190 customers and contract packages products for over 15 customers, producing approximately 40,000 packs per day. In response to the growing threat of counterfeit medicines, the EU passed the Falsified Medicines Directive (FMD), mandating the identification, management, and traceability of all drug products through serialization by February 2019. Serialization requires multiple inter-connected systems across manufacturers and supply partners to synchronize together, including network, enterprise, site-level, line/warehouse and device level systems. To reflect its dedication to quality, UNITAX required a serialization software vendor that would act as a true partner and work to ensure a timely and accurate implementation of a solution for serialization data management and exchange ahead of the 2019 compliance deadline. This partner would have to manage the complexities of handling data for significant numbers of packs, across different systems, customers and countries, all while having a strong understanding of safety and local standards. The data management solution would also need to allow UNITAX the ability to help its customers achieve EU FMD compliance by the deadline, while also scaling in line with UNITAX’s ambitious growth and offer flexibility in a mutable regulatory environment. 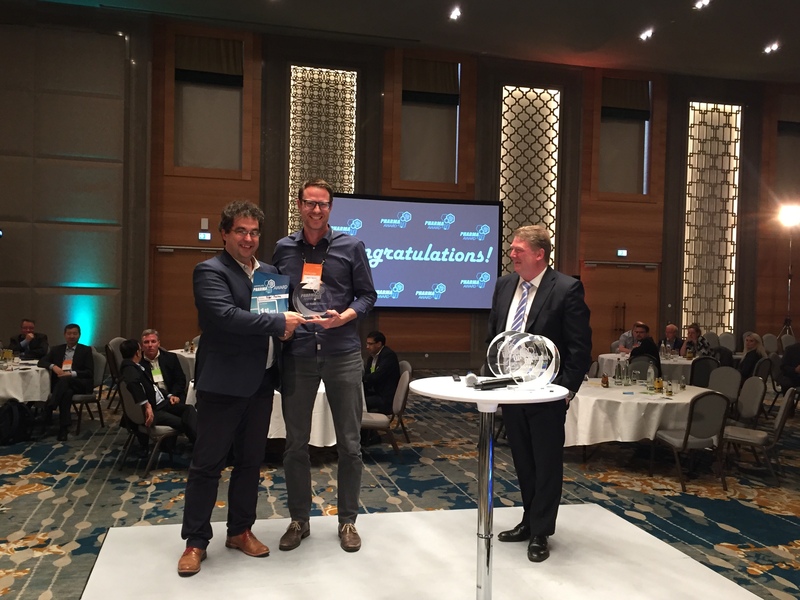 The first ever Pharma 4.0 Award – MES winner is the team from BioNTech with their IVAC 2.0 project. The project team set out to transform and extend a paper based complex BioPharma process into electronic landscape using Pharma MES, Pharma LIMS and other components to integrate highly computerized proecess landscape. Process targets included an indivudalized vaccine by analyzing patient tumor with state of the art NGS systems (Illumina). The first step to innovation was to setup an MES for individualized API in clinical studies, using standard SW (customization) as well as an in-house developed software (HPC) and in-house developed SW for interface integration. Tey were the first to use liquid N2 automated freezing and storage system in a production workflow. execution as well as used devices and technology) with colour, life and patient value. Ensuring compliance for a totally new system was here the key, since regulatory agencies never had such a type of API application. Along with the lean methodology, reducing costs and production time (ethic principle for cancer). BioNTech is truly pioneering with their new process (IVAC), using and extending standard horizontal Pharma SW platforms. Best in class! Congratulations to our 2017 winners! 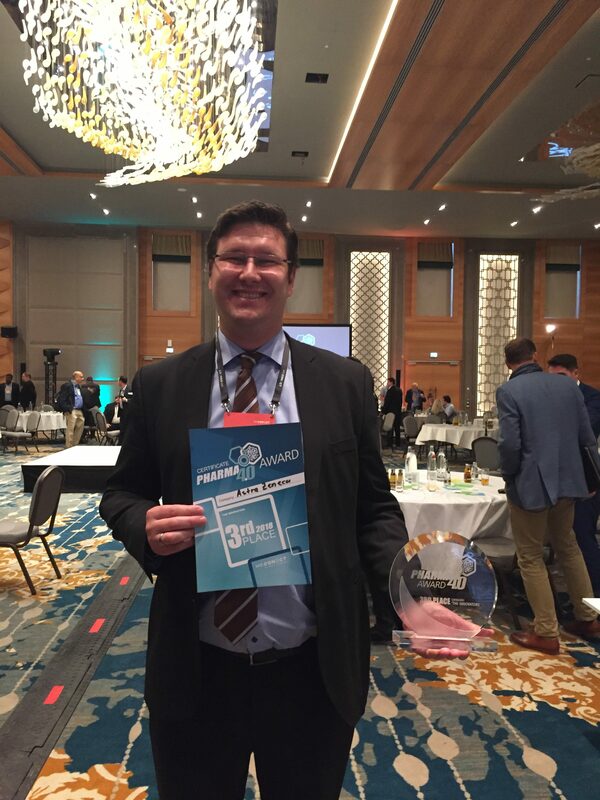 Philippe Léglise and his team were awarded 2nd place for their project “eBR packaging in ERP”. During this project, Philippe’s team implemented a full electronic batch record (master data, process excution, review by exception, approval flow) for the packaging step in ERP encompassing 6 production lines. They replaced legacy interfaced MES by ERP and achieved full interaction between ERP and an automation tool on the shopfloor. The innovation here is the simplification of ISA-95 standards, creating an MES layer included into ERP layer. GSK developmed an ERP based MES/EBR using PI-Sheet technology, and designed direct interfaces connecting ERP with automation tools using webservice. In a short time, concrete benefits have emerged from this implementation. Dual maintenance of data across ERP and a stand-alone MES application have been eliminated. The multiple interfaces present before have been replaced with a single web-service function to handle the communication between the ERP engine and Shop floor vision systems. Moreover, the user-friendliness and easiness of use has highly facilitated the acceptance by the end-users. Outstanding work! Congratulations to Philippe and his team! Our Charity Partner: Berliner Krebsgesellschaft e.V. 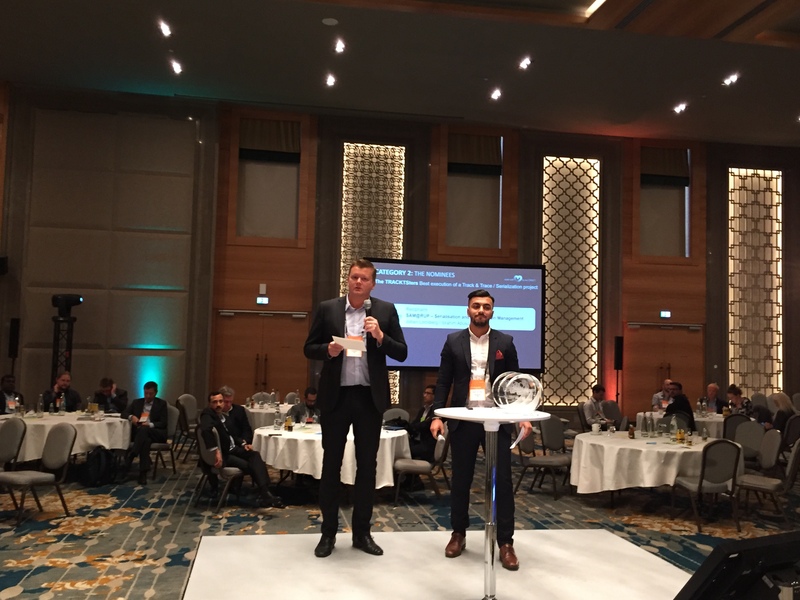 On behalf of the award winners in 2017 and 2018, we.CONECT supports the Berliner Krebsgesellschaft e.V. Every year, only in Berlin, about 17.000 people are being diagnosed with cancer. Even though long-term living expectations have increased over the years, for the individual patient, cancer is a potentially life threatening disease. Every patient is different, handling their disease differently, but no matter what the path might look like, the Berliner Krebsgesellschaft is there to accompany them on their way: consultation, information, and a broad range of supporting measures is the core of this non-profit organization, working for the good and better-being of cancer patients for more than 60 years. Patients as well as families are affected by the diagnosis and in need if this support and help. The project has to be about a project in the Track & Trace | Serialization environment or an MES related innovation. The implementation of the project shall not date back more than 2 years. Only projects that have been implemented are to be considered. The Assessment Team will consider only those nominations providing complete information requested on the application form. Besides being used for evaluating for the awards, all information provided in the application form may be published on an open platform (website/portal/social media) by we.CONECT. By making the submission you give complete rights to we.CONECT to publish the work with your name and company name in place. It is hence advisable to ensure that your submission has the necessary approval within your organization. The Advisory Board of the conference will evaluate the suitability of all the nominations submitted for the different award based on the documents submitted. The Advisory Board‘s decision on mapping the nomination shortlist with the award category will be final and binding for the nominee. Business Partners and solution providers are not allowed to apply but are welcome to engage their clients and have their client hand in an application in cooperation.